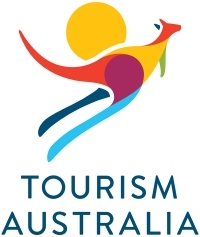 The confidence in the Australian Tourism Industry is the highest it has been in the past 2 years, prompting more and more tourism operators to hire new staff. The latest survey of business confidence which was taken in the September quarter by the South Australian Tourism Industry Council (SATIC) shows that around 1/3rd of operators expect an improvement in the industry conditions during the coming quarter. That is an increase of 30% from the June quarter. The online survey of 89 member businesses also found that the volume of employers who are hiring more staff increased from 8% to 15%. A more stable political environment following the federal election, lower Australian dollar, development on the riverbank of Adelaide and the marketing campaigns including the award-winning advertisement of Barossa are all boosting confidence. Ward Tilbrook, the Chief Executive of SATIC said that September 2011 was the last time more SA tourism operators felt optimistic about the future. However, he cautioned that due to the online activity, there is an increased competition in the industry which means operators are reluctant to raise rates to increase profits. Leon Bignell, the Minister of Tourism said that tourism optimism had not been so high in SA in decades. Luke Talbot-Male, the owner of Surf n Sun who runs surfing camps and lessons from Middleton said that turnover had picked up by 57% this year. He said after many difficult years in the tourism industry, it is definitely looking more positive. The SATIC survey also shows that 16% of tourism operators are ‘extremely confident’ about the coming year and the number of international visitors increased by 9% in the year to June.